I HAVE BEEN TRYING TO SHARE THIS INFO ON SEVERAL DISCUSSIONS ON THE PANAMA CITY NEWS TOPIX WEBSITE BUT THE CORRUPT COINTELPRO OPERATIVES THAT MODERATE THAT SITE CENSORED MY REGISTERED USER “PANAMAED” AND NOW WON’T LET ME POST ANYTHING BUT ALLOW THE PERVERTED LIBEL COMMENTING, DEATH THREATENING, IDENTITY THIEVING STALKERS TO CONTINUE HARASSING, THREATENING AND INTIMIDATING WITNESSES, INFORMANTS, WHISTLEBLOWERS AND FAMILY MEMBERS OF THE MURDER/SUICIDING VICTIMS. Start from the beginning of one of the most concise pieces on the BANKSTER RACKETEERING ENTERPRISE yet presented…. At least half of Florida’s community banks failed because their leaders were greedy, arrogant, incompetent or sometimes corrupt, a Herald-Tribune investigation found. In the farm town of Immokalee, Florida Community Bank executives lent millions of dollars to mob associates while a terrorism financier moved money in and out of its vaults. In the Panhandle, Coastal Community Bank bought an insurance company from the chief executive’s son and sold it back to him three years later at a $900,000 loss. Not all of the failed community banks have been accused of wrongdoing. Some made sensible loans and were undone by borrowers who took on too much debt during the real estate boom and couldn’t repay. But banking’s worst offenders made insider loans and business deals to enrich themselves at the expense of their own banks and, ultimately, the public. 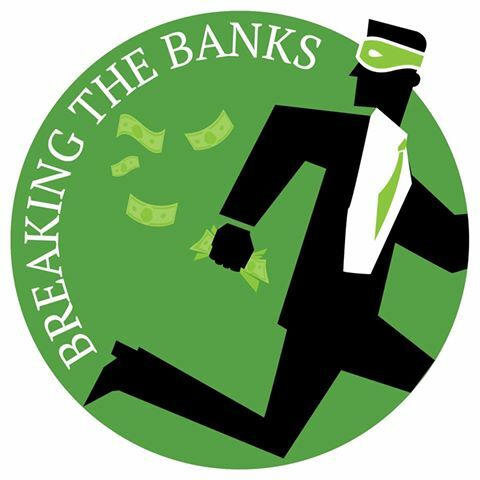 Other banks lent millions of dollars to mobsters, drug dealers, convicted felons and developers with prior bankruptcies. In flush times, as Florida’s real estate prices soared to new heights, bankers rewarded themselves with large salaries and generous dividends. One local banker used a private airplane to fly across the country while others held meetings at lavish beach resorts. Regulators saw this behavior but often they were too timid to act while the economy was humming. When regulators did object, bankers ignored the warnings, hid important documents, removed conversations from board minutes and doctored financial reports to make things seem better than they were. Even after home prices fell and hundreds of thousands of Floridians stopped paying their mortgages in 2007, many bankers forged ahead — continuing to make risky loans and payments to themselves as their banks lost money. Most of the failures in Florida involved community banks, small institutions founded to serve local customers. Community bankers are vital to small cities and towns as a source of money to build new shopping plazas, office buildings and neighborhoods. But some outgrew their local roots to become large and unwieldy. They made loans far beyond their home turf with inexperienced employees handling complex real estate transactions. In all, the failures cost the Federal Deposit Insurance Corp. more than $11 billion to clean up. The exact cost to America’s local economies is unknown but clearly felt. The fallout is seen everywhere: in the ruined credit of Americans who walked away from homes they could no longer afford; in cities like North Port and Lehigh Acres, beaten by wave after wave of foreclosures. ONE CAN POST ANONYMOUSLY AND ANY HELP WOULD BE APPRECIATED. I AM SEEING SOME POSTS BY DAVID HARBIN AND PANAMAED BUT WHEN THEY BLOCK YOU YOU DO NOT EVEN KNOW YOU ARE BLOCKED…KIND OF LIKE THE PANAMA CITY NEWS HERALD.